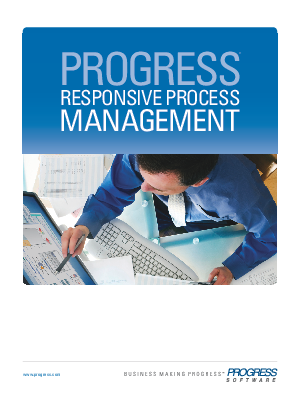 Learn how the Progress RPM Suite integrates easily into your existing infrastructure to provide real time visibility, take action on issues, and improve your business processes. Download the product brochure now! The ability to sense and respond to changing conditions and customer interactions as they occur can dramatically impact any business. When business managers are forced to analyze what has happened instead of what is about to happen, the time taken to identify a change or trend results in missed opportunities.